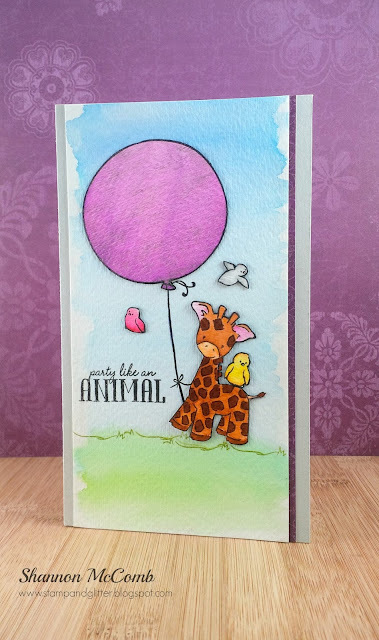 Here to stop in with a cute water colored card I made featuring the adorable Party Animal set from Wplus9. I just adore this set, so you may see cards from me featuring this set often. 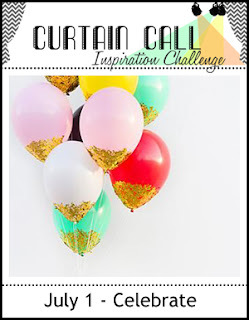 I will be playing along the Curtain Call, Celebrate challenge today. I did all the water coloring for this card using the Zig clean color real brush markers and a water brush. I only have a 12 pack but it seems to be more then enough for me right now, plus its fun mixing colors! I used Strathmore water color paper and started off with the background just stroking some blue and green. I stamped my images separately, colored them and fussy cut them out to adhere onto my card. I covered my balloon in Wink of Stella glitter and adhered my panel onto some Fog card stock from SSS. 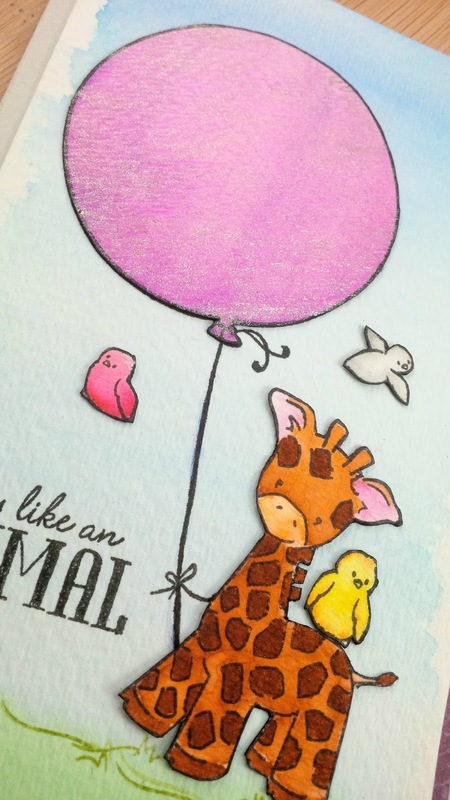 I hope you enjoyed my cute giraffe card! Thank you so much for stopping by!! Adorable! You're doing a fabulous job using those ZIG Clean Color Real Brush Watercolor Markers! What a fab watercolour card Shannon! Love all the cute details and the strip of colour along the focal panel really adds a lot. Oh no,you are making me want that sweet set ! I almost bought this and your card is just darling ! Love your watercoloring. Totally Gorgeous watercolor! I love it! The background came out so perfect! Have a lovely week as well!